(Morning Star News) – A Coptic Christian killed by Islamic militants in Egypt’s northern Sinai was buried in his home village yesterday amid wailing and tears, religious rights activists said. 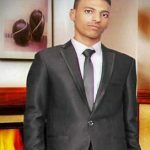 Bassem Herz Attalhah, 27, was shot to death on a street in El Arish, capital of the North Sinai Governorate, on Saturday (Jan. 13) after three Islamist gunmen stopped him and asked if he was a Christian, according to online news outlet Copts United. 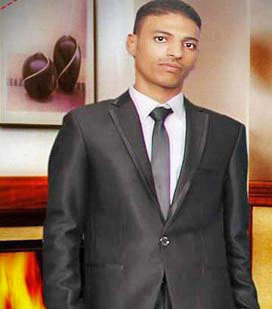 His funeral took place in Dweik village, Tema District, in Sohag Governorate. Bassem Herz Attalhah was on his way home from work with his brother, Osama, and a Muslim friend, when three men about 23 to 25 years old in black jackets called to them, according to Copts United. Two of the young men were carrying automatic weapons, the third had a pistol, and their faces were uncovered, the news site reported. Because the men were unmasked, the brothers thought they were police, Copts United reported. They asked to see Bassem Herz Attalhah’s hand, as many Copts in Egypt bear a small tattoo of a cross on their wrists. Bassem Herz Attalhah showed them his cross. After seeing his tatoo, the militants asked him if he was a Christian, and he boldly replied that he was, according to Copts United. The militants dismissed the Muslim, identified only as Mohamed, after confirming that he was not a Christian. The gunmen then asked Bassem Herz Attalhah’s brother to show them his hand. Bassem Herz Attalhah mentioned that they should leave his brother alone because he has five children, according to the news site. The militants then shot Bassem Herz Attalhah in the head, killing him instantly, the news site reported. The Christian brothers and their family had fled El Arish during a spate of Islamic terrorist violence in early 2017, but had returned after finding no work in Ismailia and Cairo, according to Copts United. An Islamic State affiliate known as the Sinai Province has been active in the area, with some blaming it for the killing of 311 people and the wounding of at least 122 in a mosque bombing last November. The group sometimes calls itself the Islamic State Egypt. More than 300 Christian families had fled North Sinai after seven Christians were killed in a few weeks, and Islamic extremists released a video threatening further violence against Christians, according to advocacy group Middle East Concern. Another Christian who had returned to the area after fleeing, Nabil Saber Fawzy, was killed in May 2017, according to MEC. Egypt was ranked 17th on Christian support organization Open Doors’ 2018 World Watch List of the countries where it is most difficult to be a Christian.